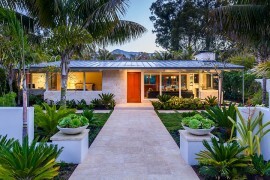 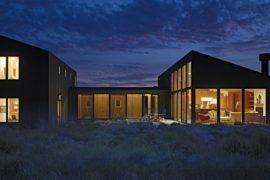 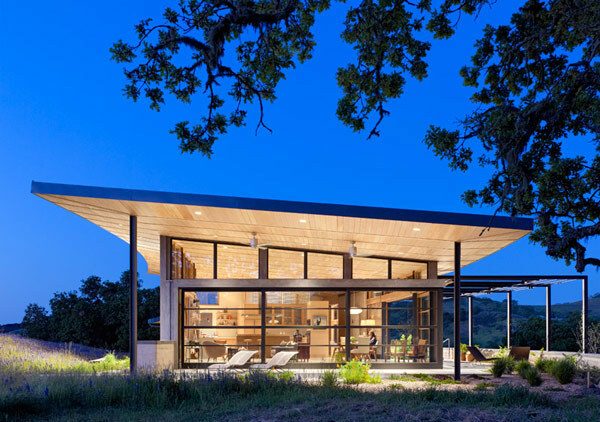 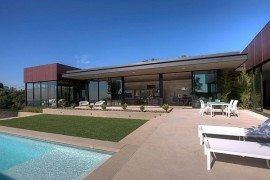 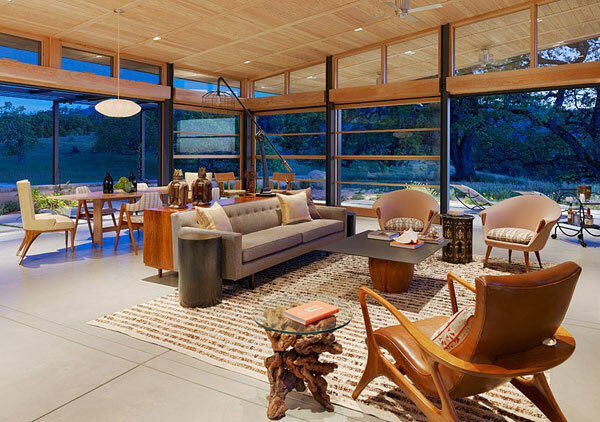 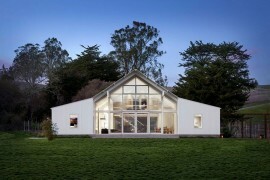 Caterpillar House, the green California house designed by Feldman Architecture, is a ranch style home. 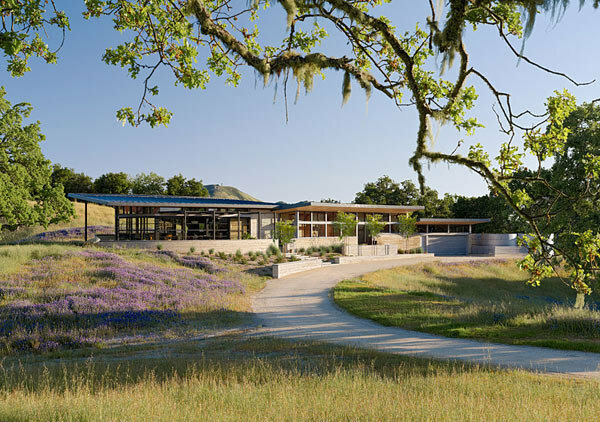 It stretches along a grassy hilltop in a linear plan that maximizes the views. 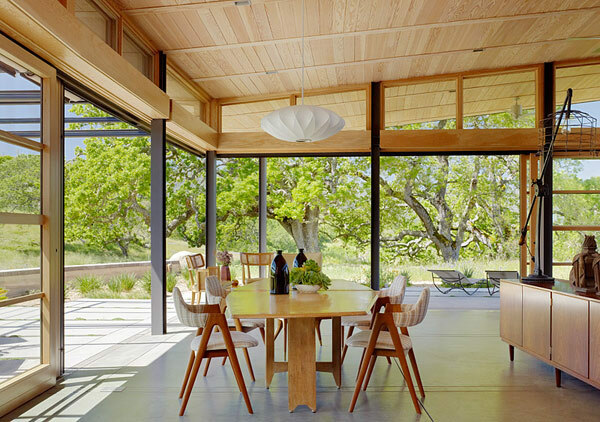 This California house has a deep connection with Nature. 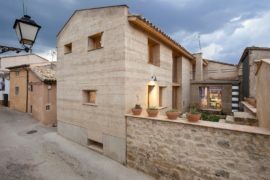 Earth excavated to make way for the house was actually used in constructing its walls. 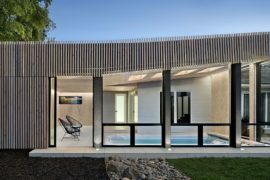 The glass-enclosed main floor beckons natural light and views in, while, just outside, a sheltered outdoor entertaining area lets the homeowners enjoy the outdoors in any weather. 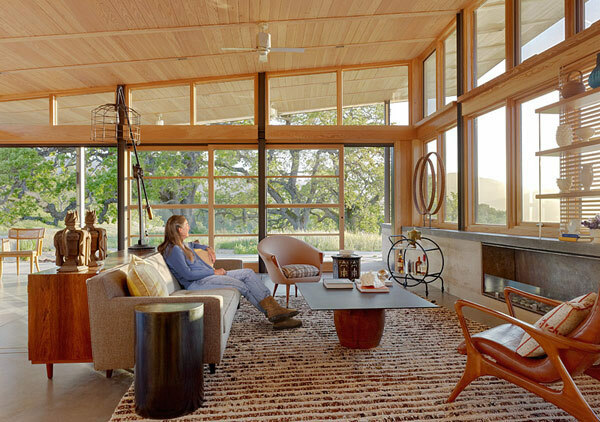 The connection to the Earth is deeper than what appears to be: this sustainable house employs eco-friendly features like its rammed-earth walls, which act as a thermal layer to maintain comfortable temperatures inside; a rainwater recycling system; natural ventilation via the glass wall of the house; and photovoltaic panels that allow this passive solar home to operate off the grid.